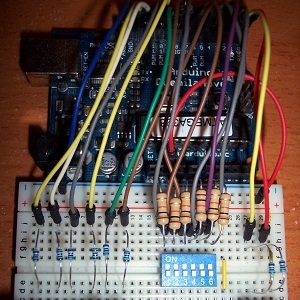 This week we’ll look at the circuit for the 2-digit 7-segment display counter using the Arduino. sequencing through the displays, which is what we have done in our example, as it requires no added hardware. When we were using a single-digit display, we connected the common anode pin to our Vdd supply, but with two digits we have to drive them independently if we want them to display different digits! 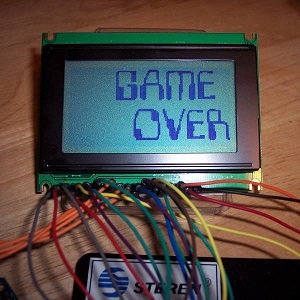 A natural reaction would be to try to use two Arduino I/O pins, each driving a digit of the display. 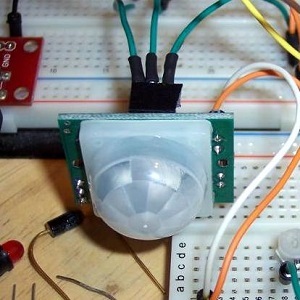 The problem with this scenario is that it is not possible to drive the common anode or cathode pin using Arduino I/O pins, as they cannot source or sink enough current to light all seven segments. 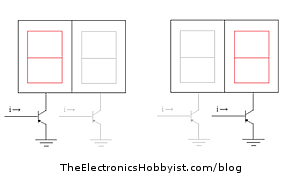 The solution is then to use bipolar junction transistors (NPN for common cathode and PNP for common anode displays) in order to sink or drive the required current. 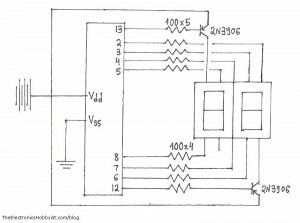 The controlling interface outputs the value for a specific display by enabling only its common pin transistor, and the digit driven by that common pin becomes active. To give the impression that both displays are active at the same time and avoid flickering we cycle through the digits in quick succession and keep each of them lit for 5ms. We will see how that was implemented when we go over the sketch next week. will there be no changes other than the pin configuration? Hi Jeanne, also pay attention that the transistors will be different for common cathode or common anode displays. As for the pins, you also have to follow the datasheet of your display, as the configuration may be different than the one I used. Good luck! Hi there,im sherwin,im doing a project,but i have no idea how to code,it would be a great blessing if you could help me out please! 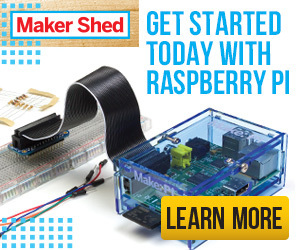 My project would consist of a 1 digit 7 Segment display counter which counts from 0-9,and a switch to reset it to 0 and start it again. Please help me,im really lost..
it means that in the old versions of the Arduino compiler we could use the identifier “F” in the define directive. 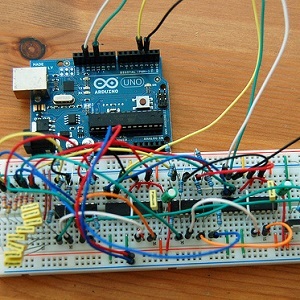 Starting with version 1.0, Arduino defines a built-in function “F()” that allows you to store strings in flash memory. 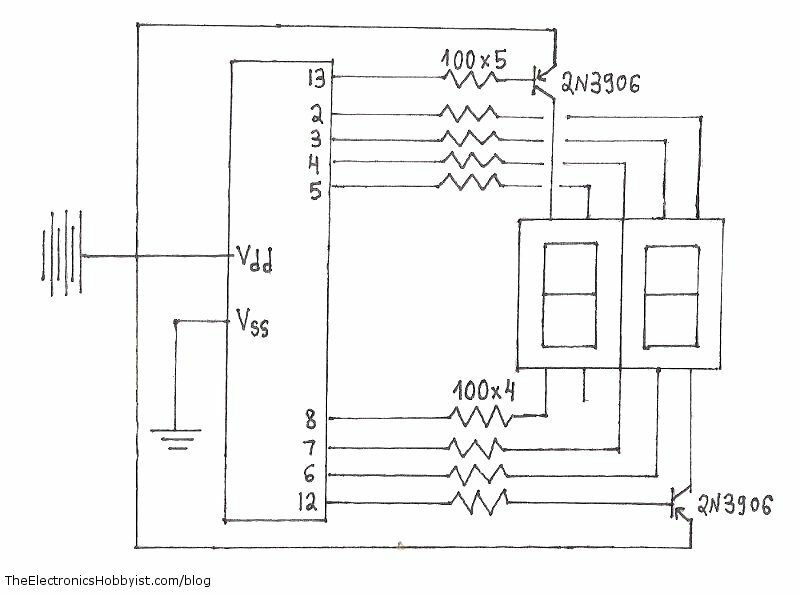 Please suggest me simplest possible circuit. I don’t have much experience with PICs, sorry!